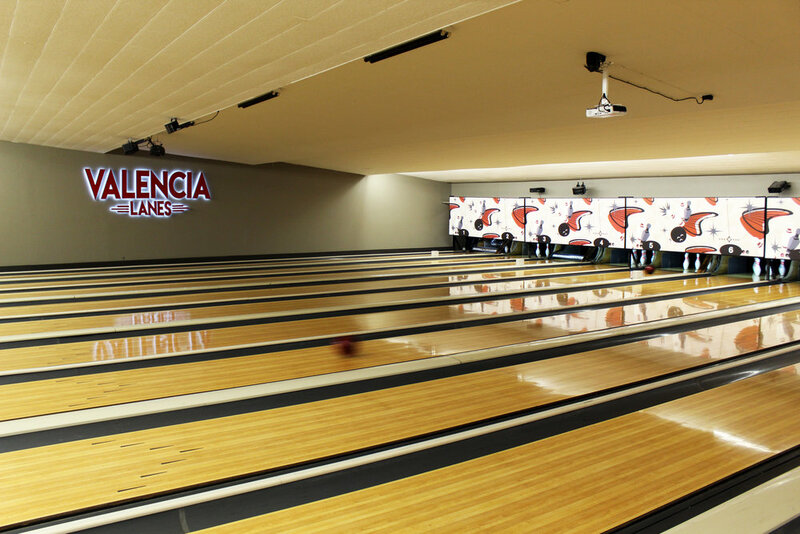 Valencia Lanes provides a fun, welcoming and friendly atmosphere of bowling for all ages. Come on down and experience the ultimate in family entertainment with 24 automatic scoring lanes, the latest in video arcades, a full service pro shop, and Restaurant. 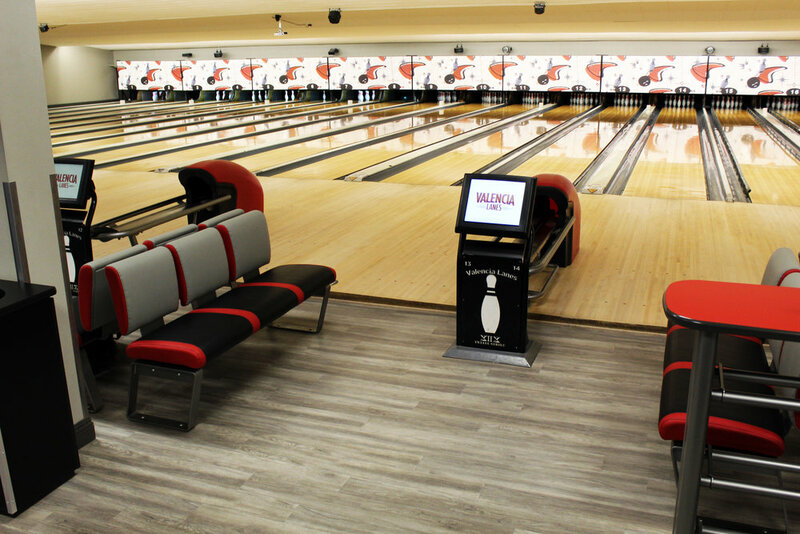 For your convenience, we also offer the widest range of bowling options, bumpers and lighter balls to maximize the fun for all skill levels. Rather relax? Stop by our cozy sports lounge to watch your favorite sports teams on our big screen or play pool, even a game of darts. 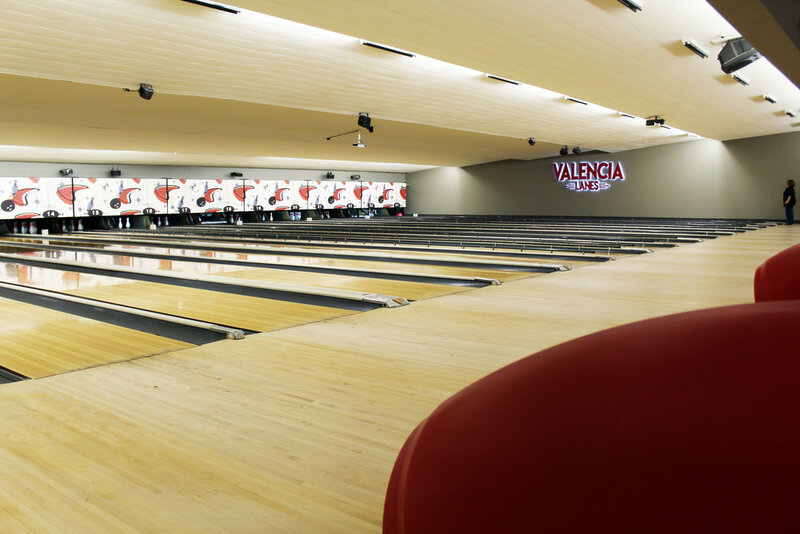 Whatever your entertainment interests-- Valencia Lanes is the perfect entertainment choice. See you soon! 5pm - 7pm 2 hours of bowling, shoes included. Max 5 people per lane. 7:15pm - 9:15pm 2 hours of bowling, shoes included. Max 5 people per lane. 9:30pm - Midnight 2 1/2 hours of bowling, lights, music, glow in the dark, shoes included. Join a league today and meet new people and make new friends….